This week, Caroline and I are on an incredible trip wine touring the beautiful central coast of California with E & J Gallo Wines. We’ve recapped our favorite parts of days one and two! After a long flight, we landed in San Jose and drove immediately to the nearest In N Out. Caroline and I had never had it so going with some local Californians were perfect for recommending what to order. Caroline and I got cheeseburgers and “animal style” fries that are topped with cheese and onions, yum! We both agreed In N Out was so worth the hype. P.s., I ate TWO burgers and TWO orders of fries! 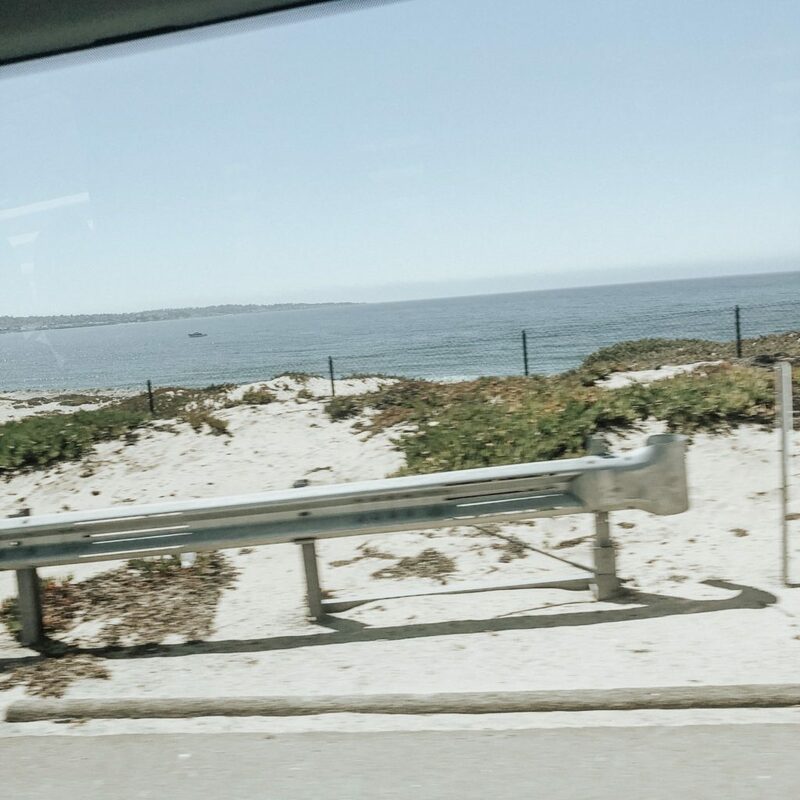 We then hopped on the van with the rest of our group and drove down the beautiful California coast of Monterey where we saw whales in the distance. It was absolutely breathtaking. 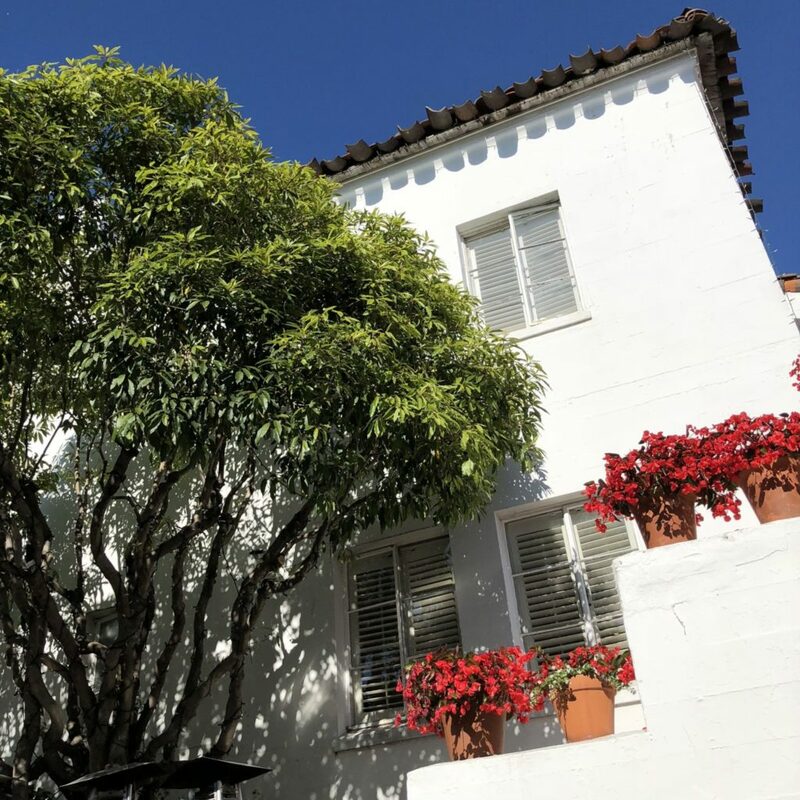 We arrived at the Cypress Inn, a beautiful hotel in Carmel that is owned by Doris Day. 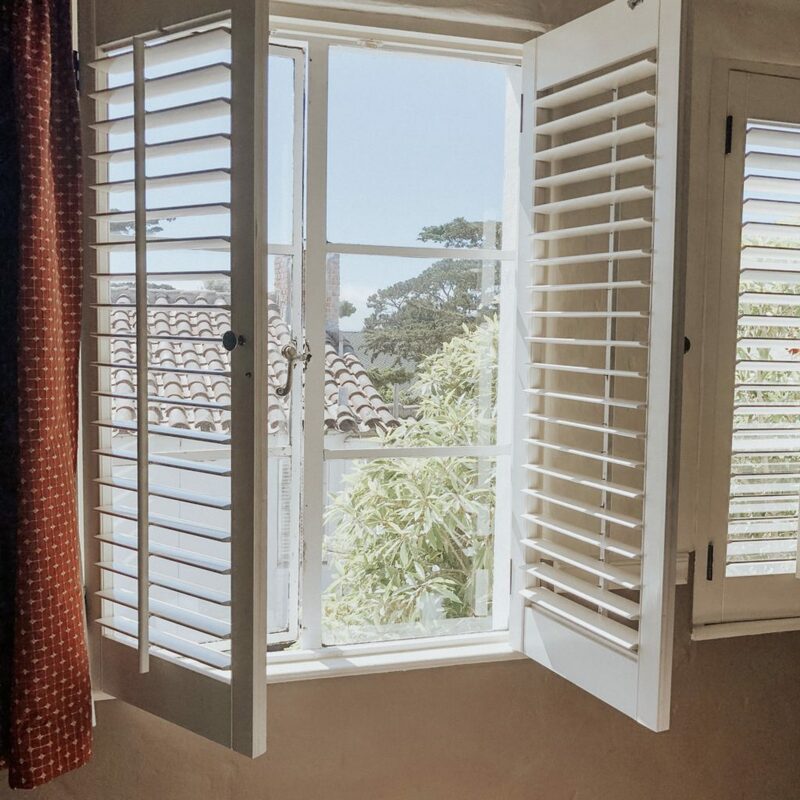 The rustic vibes and the history behind the building we were residing in made us feel more a part of the culture that is Carmel. 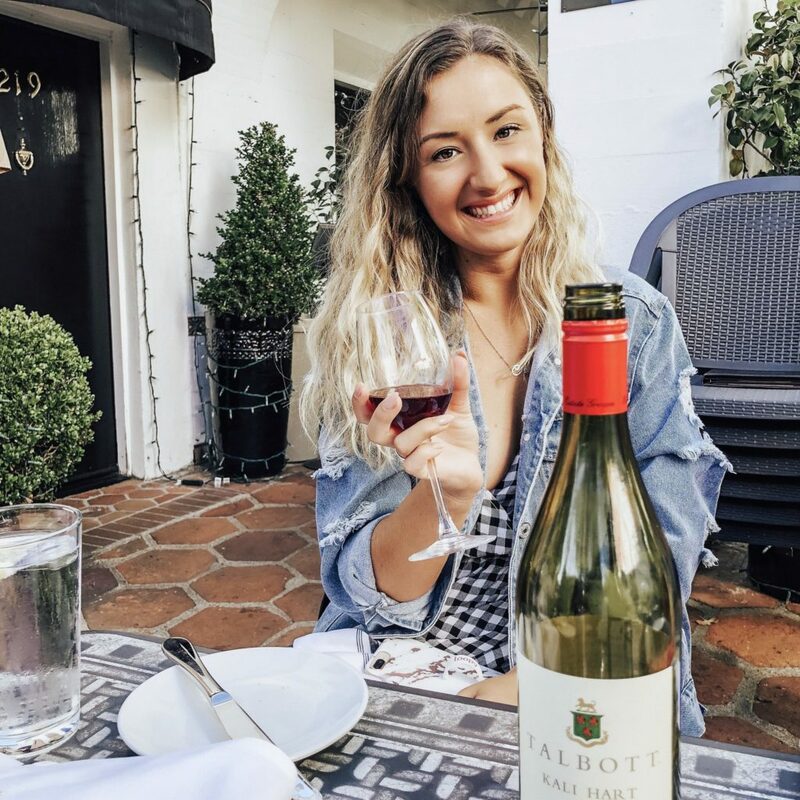 After checking in and relaxing in our rooms for a little, we met in the beautiful courtyard at our hotel that doubles as a restaurant where we met with Talbott Winery wine maker, David Coventry. David brought some of Talbott’s finest wines with him and we paired them with Cypress Inn’s cheeses and bread for the table. 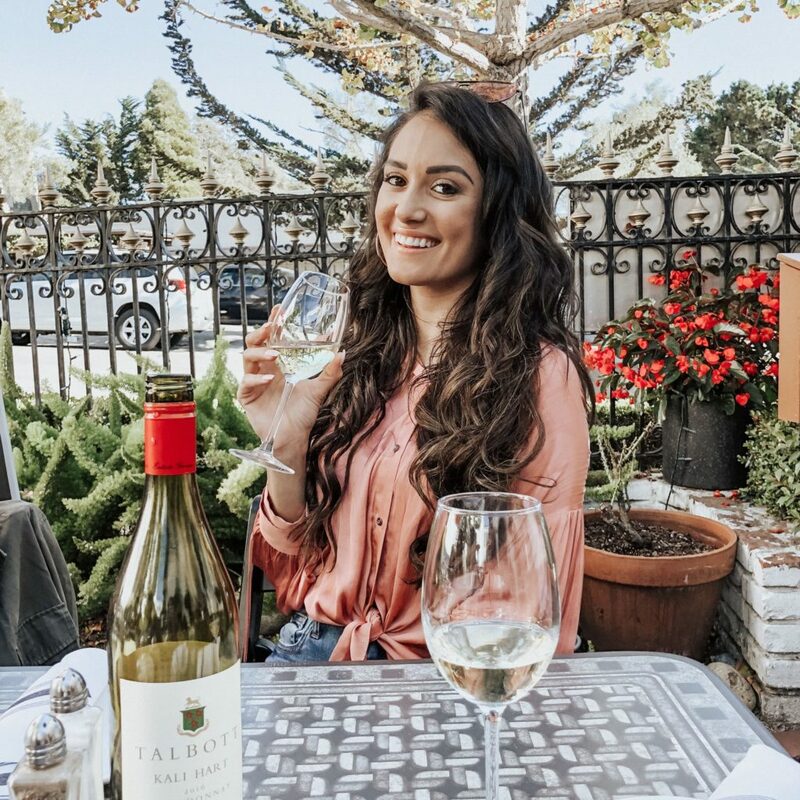 Caroline is big on Chardonnay and loved the Kali Hart Chardonnay. David also brought a Pinot noir that we both loved. 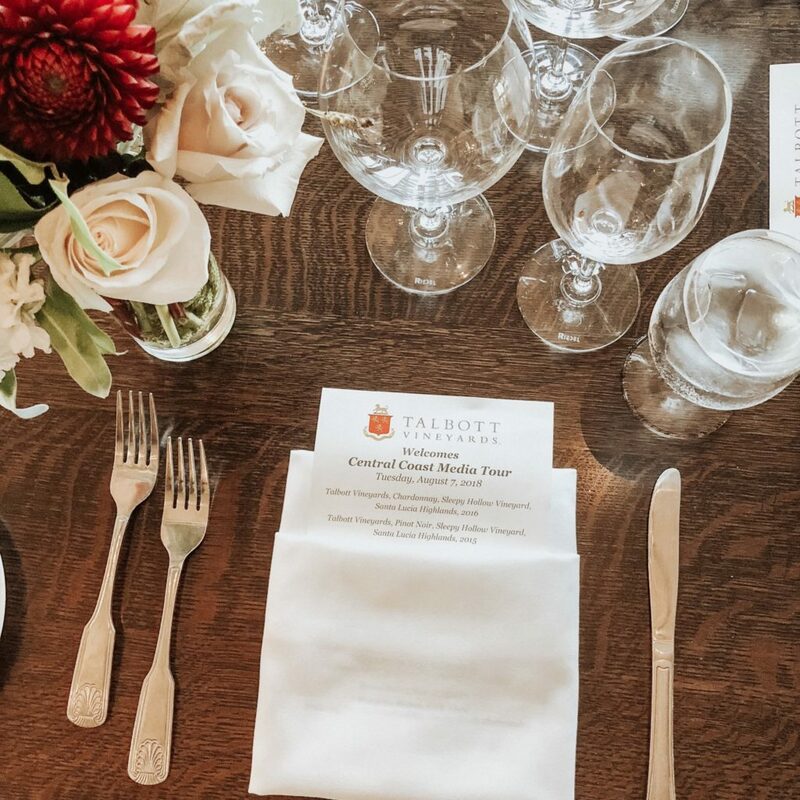 After a happy hour in Cypress Inn’s courtyard restaurant, we headed down the street to an amazing Italian restaurant, Il Tegamino where we sampled even more of Talbott’s incredible wines. My favorite was their Sleepy Hollow Chardonnay. I am not a Chardonnay drinker, so I was especially surprised at how much I enjoyed this wine. It paired perfectly with the Pescatora pasta I ate which included scallops, prawns, clams, shrimp, and mussels. Caroline also had the Pescatora pasta after David recommended eating seafood when it comes straight from the sea behind us! 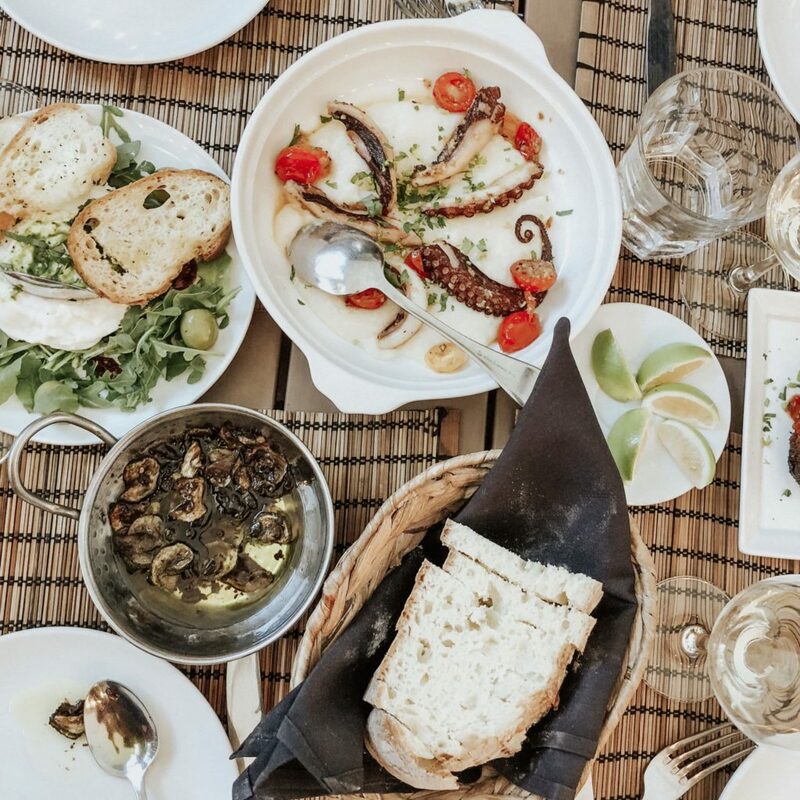 At the table, we also enjoyed stuffed meatballs, Octopus, zucchini, and bread with the fried zucchini oil. All were to die for and paired so perfectly with all of the wine David brought. To top off our incredible meal, we had limoncello cake which was divine. The cake was supposed to be for the table but Caroline and I ate it all haha. After dinner, we walked around Carmel with David who showed us different shops and pointed out places where he had his first job and where he enjoyed spending his time as he grew up in this town. It was an incredible yet exhausting first day and we were so excited to get to bed for the night! Our second day started early. Cypress Inn had a hot breakfast for us waiting that started our day off right as we headed to Big Sur for a hike. 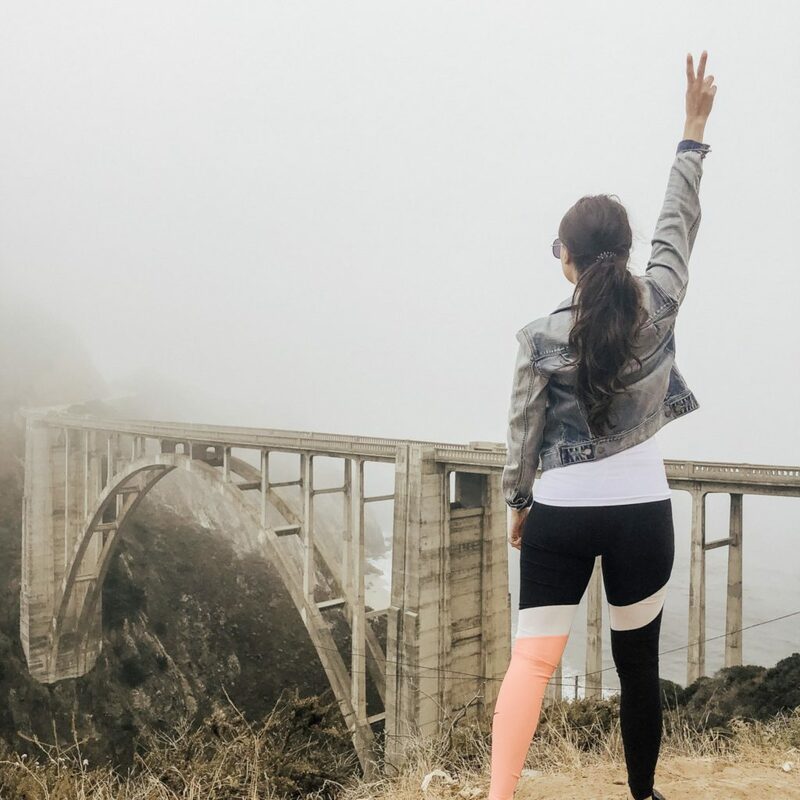 We stopped at Bixby Bridge to take some pictures of the bridge in the morning fog. The views were breathtaking. Mike, our driver, told us that virtually every car commercial ever was filmed on that bridge because of how picturesque and breathtaking the landscape is! After we climbed up some of the peaks to take some incredible pictures and boy was it windy! The wind made the air cool and crisp and we all agreed it was certainly the freshest air we have all ever breathed in. Afterward, we had another amazing meal at Pacific Ridge. 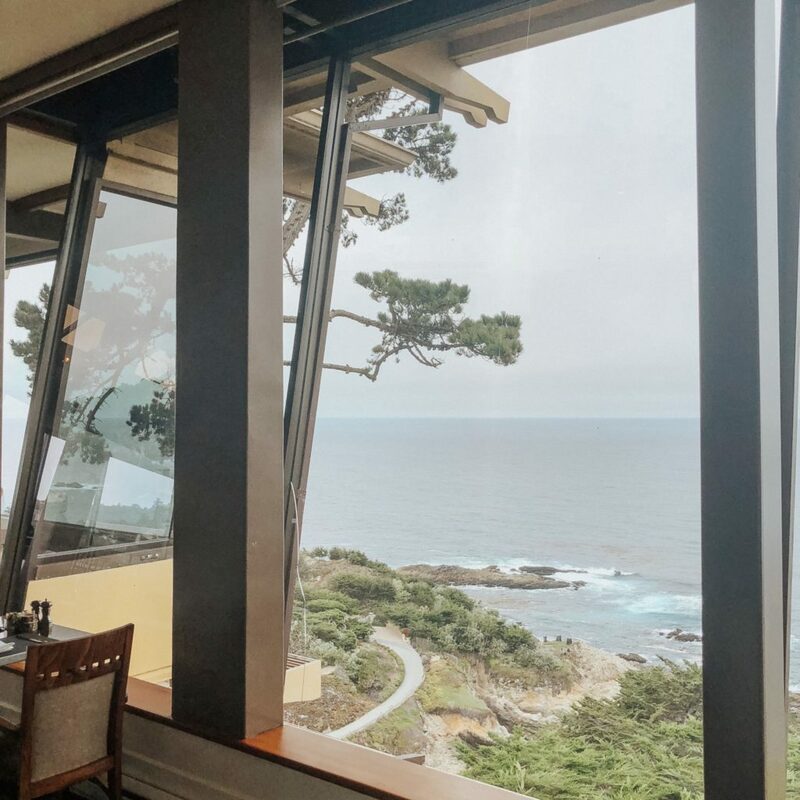 The restaurant has large glass window panes to give you an incredible view of the ocean and the peaks that surround it while you enjoy your meal. We all ordered a drink to go with lunch, Caroline got a delicious Moscow Mule. At the table, we enjoyed fried artichoke, crab cakes, calamari, and quesadillas. Everything was just so fresh! For our meal, I ordered the daily fresh pasta with seafood and Caroline ordered a cup of clam chowder with fresh clams and a Caesar salad. 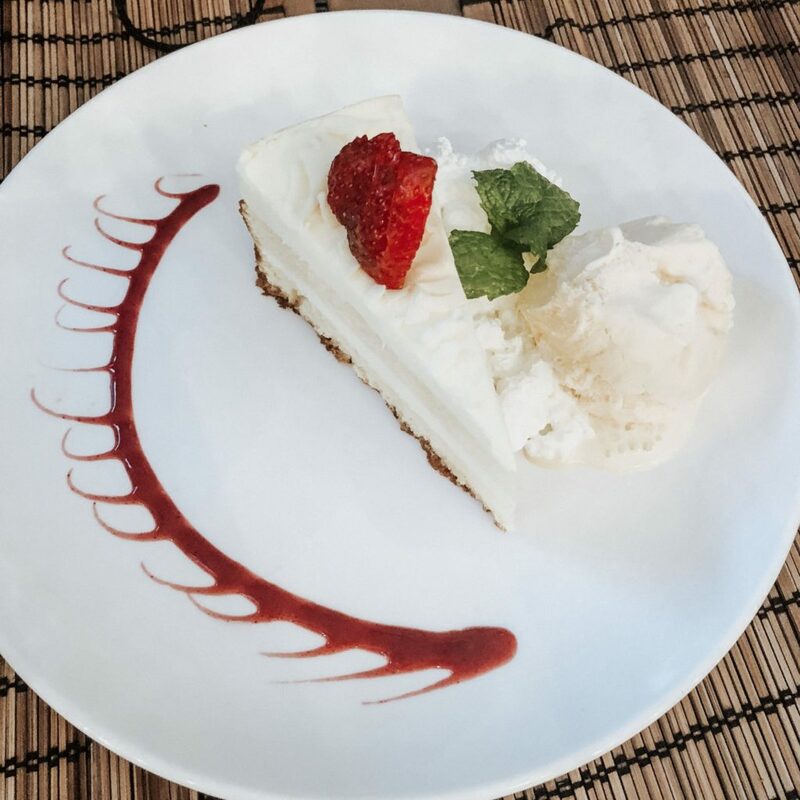 We were again so impressed by the food and loved everything that we ordered! We all could not stop talking about how fresh everything tasted. Even the quesadilla, one of the simplest foods to make, was extraordinary. After some downtime, we boarded the van to Talbott Vineyards to meet David again for a tour of the vineyard and dinner. We were completely blown away by the scenery. The golden hues were apparent and the rolling hills combined with the dirt roads made for the most picturesque setting. David showed us around the vineyard and we were able to sample wines straight from the barrel, an amazing experience that will surely change your outlook on wine forever. Inside, chefs from Tarpey’s down the road made us an exquisite dinner, which included beef tenderloin, salad, cole slaw and more garlic bread! Topped with a salsa-like glaze, the beef tenderloin was the best we had ever had. 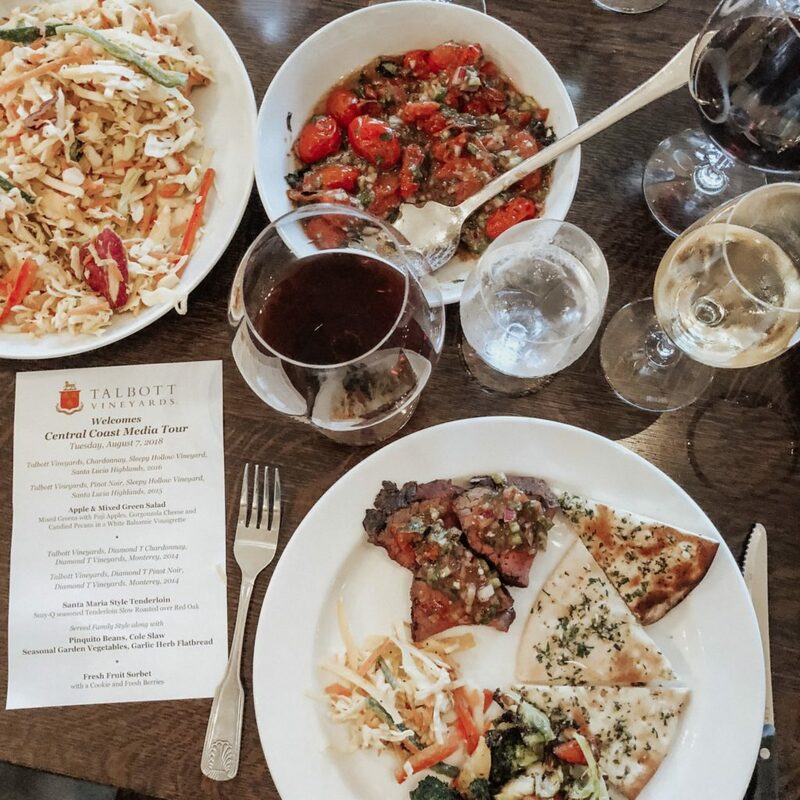 Of course, everything was paired with the most incredible Talbott chardonnays and Pinot noir. We had such an incredible time day 1 & 2! Stay tuned for a blog post on the last 2 days of our trip! Ok! Take me there! 🙂 ill have to put this on my list. Your pictures look gorgeous! I flew to CA for a convention a few years ago and when we landed in San Jose the In N Out Burger was the first place we stopped too! 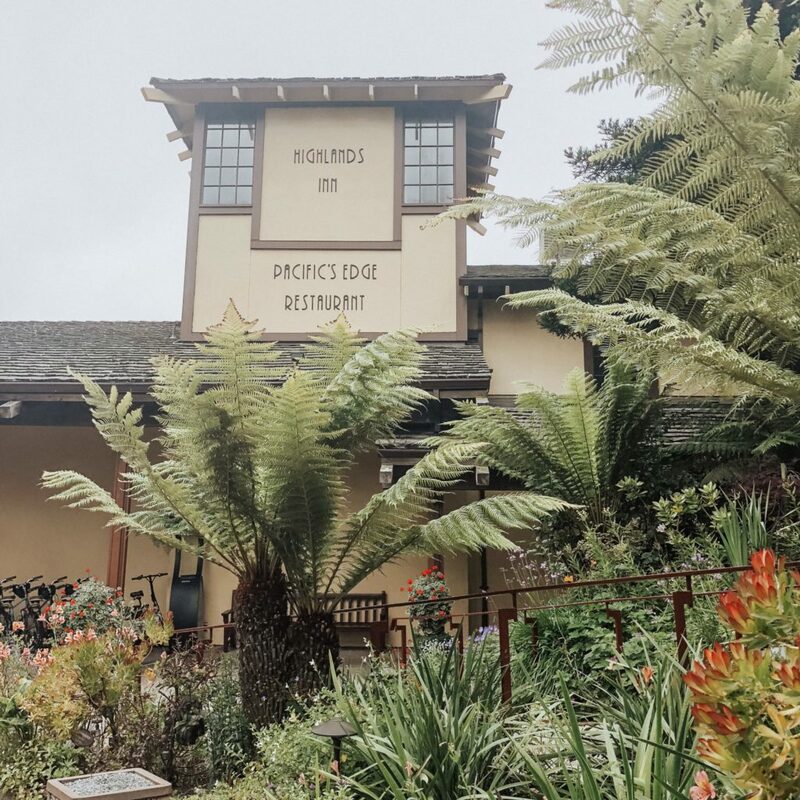 We wanted to go to Big Sur but the wildfires were too close to the area and a lot of it was closed so we weren’t able to. 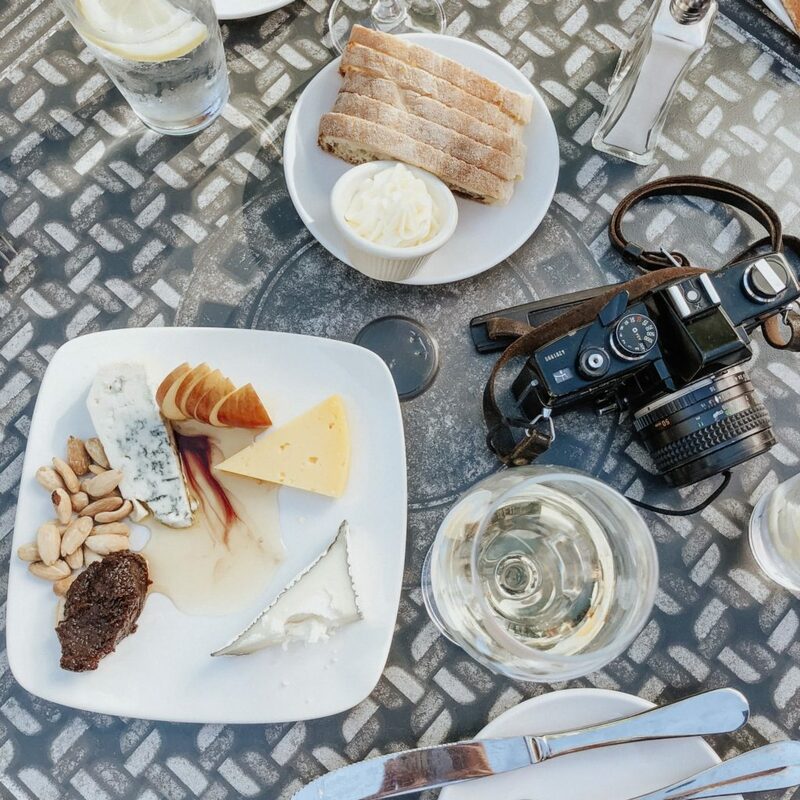 Delicious food, good wine, and beautiful surroundings? What else could you ask for? 😛 This looks like a great trip, I’ll defiantly keep the recommendations! Thanks for sharing. This looks like such a great tour! The food looks very good. Looks like a great way to spend a couple of days with friends! Happy faces all round. This looks so dreamy! I need to do this one day! So glad you had a good time. I am a huge wine fan but have recently figured out that wine gives me migraines. I am so jealous of this trip. I can’t tell which is better — In and Out “animal style” burger and fries or the classy Italian and seafood. All of it looks amazing! Looks like a fun place to visit! Wow, and there was MORE? What a fun trip (at least the first 2 days)! I cqn’t believe you saw whales from the shore like that! They were really close to land! I love reading blogs like this. Your descriptions and photos make this place come alive. Amazing. That food on day 2 looked delicious too!! Looks like you had a blast. 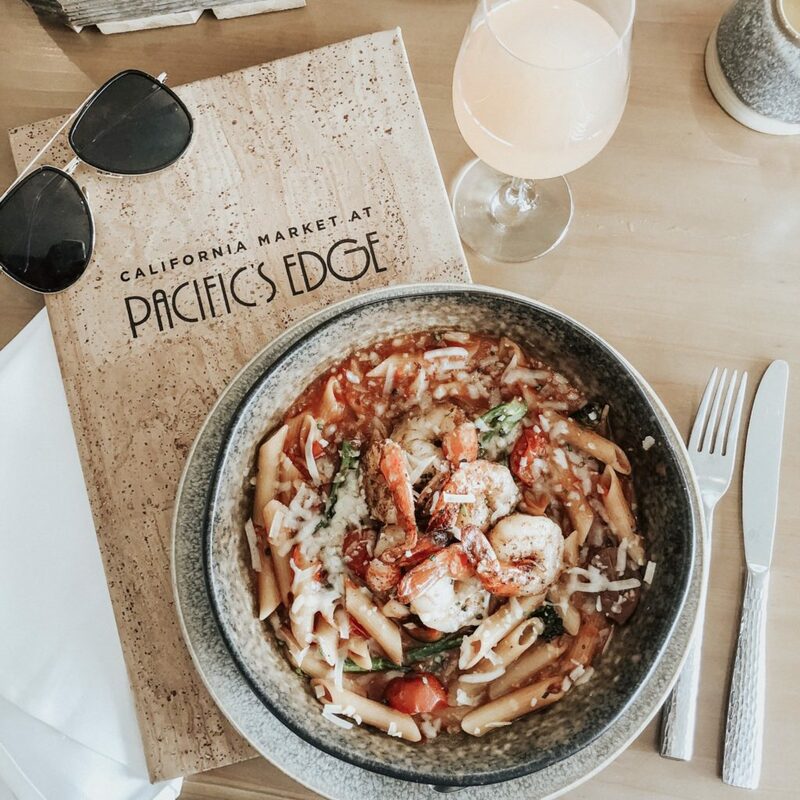 Love all of the perfect foodie photos. The first time we went to California, my husband demanded we head to In n out right away as well! The Cypress Inn is my FAVORITE. Ah..so many fond memories! Carmel is beautiful! Love this tour!! It sounds so fun! Plus your pictures are great!! This looks absolutely amazing babe. The food looks DIVINE and makes me sooo hungry!! Looks like such a fun trip! All that delicious food and wine! I love California and I love all the vineyards. In & Out is the only fast food I will eat. Man can I just be here?? This looks and sounds so fun and amazing! I love cheese boards too. Yum yum! This looks like such a fun trip. You guys took gorgeous pictures, now I definitely want to go on a wine tour. Wow, looks like you had an amazing time. I love all your pictures they are just gorgeous! 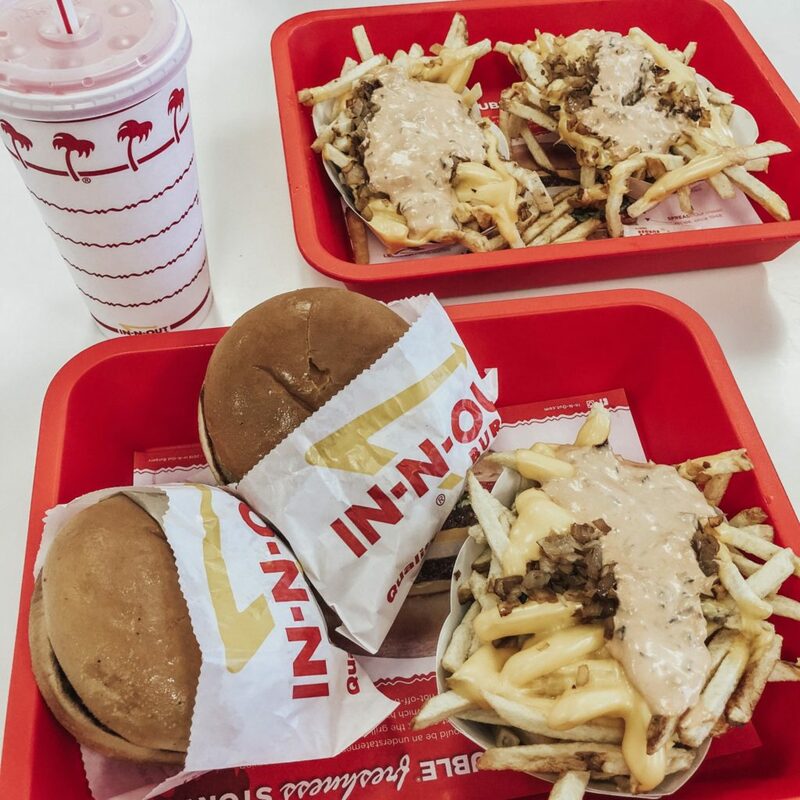 And, this was the first year we traveled to California and had our first experience with in and out burger too, loved it and I also had the animal fries! California is a great place to visit! I’ve always wanted to try in and out burger we don’t have that in NC. This sounds like the perfect trip🙌🏼 Right up my alley. And you are absolutely gorgeous!! I couldn’t possibly be more jealous of this trip! Firstly, California in general is my dream! I gotta get there one day. Secondly, wine? Delish foods? Pretty views? I mean – yes please! 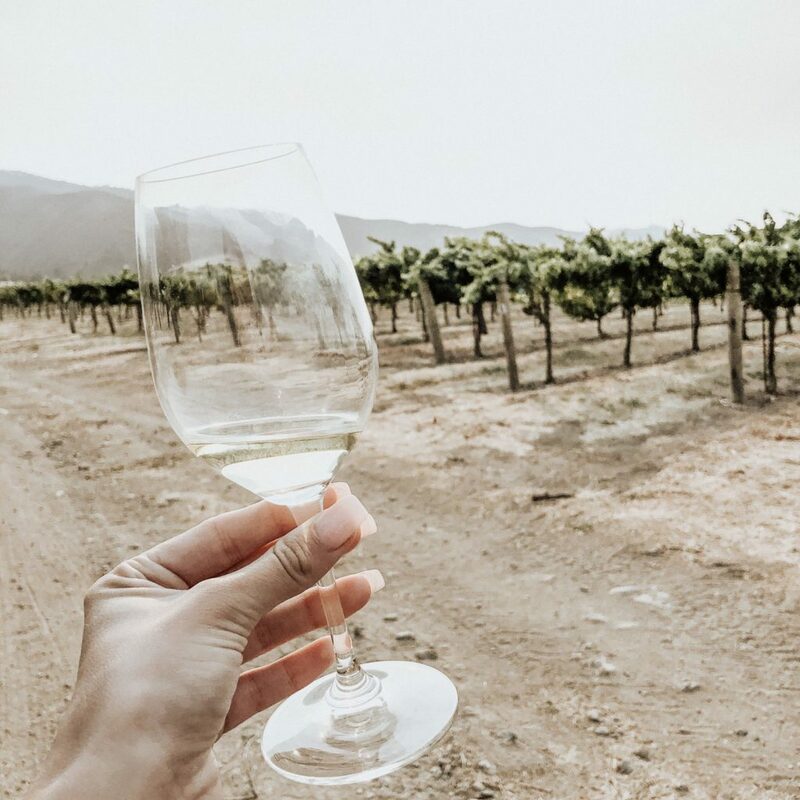 A California wine tour sounds like a dream! I’m drooling over all the food pics here though – looks so delicious!! Looks like you had so much fun! Wine tasting is the best. This trip sounds so much fun. Yo had a great time with such a fine dining and view. It seems like you had a lot of fun on your trip, and I cannot wait to see what you did on the last 2 days. 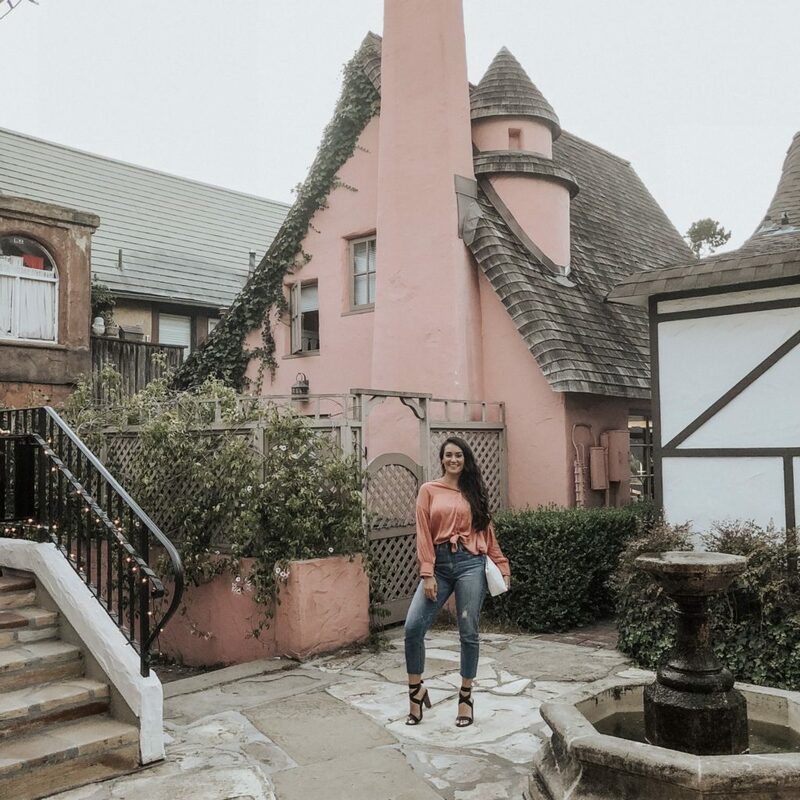 My highlight would be visiting Carmel-by-the-sea though. I really wanna explore California. Your accommodation looks so cozy. I’ll definitely consider Cypress Inn when I go there. I’m so jealous , this pictures are amazing and the food yammm yammm ummm . I’m yet to try N out. Looks like the perfect trip! Great sights, great company and amazing food. 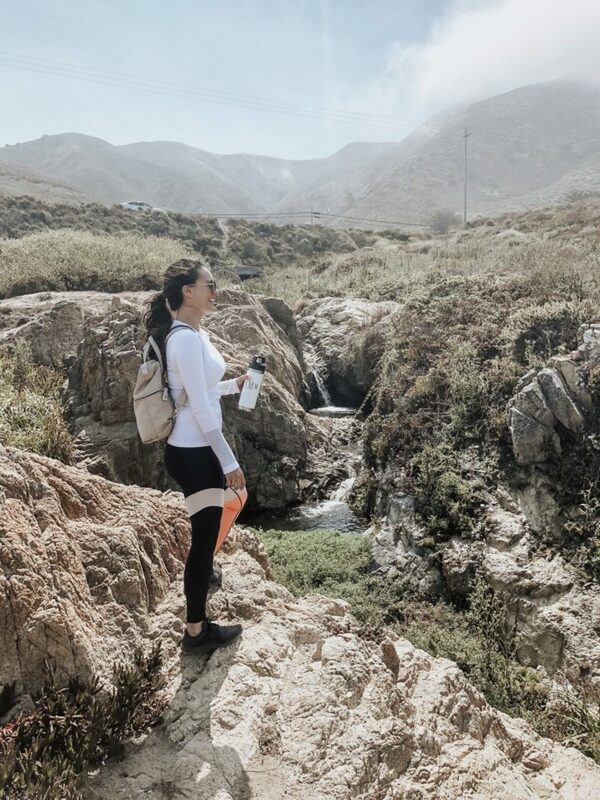 I’m so jealous but at least I got some great inspo if I ever find myself in Cali!